A good credit rating makes it easier for any borrower to qualify for credit with good interest rates. So, if you want to have an affordable home mortgage or an easy-to-pay car loan, a good credit rating can make it possible. The sooner you get a credit account the better it is. Ae matters in building a credit history. Lenders are more interested in lending to borrowers who have proven their credit worthiness for a long time than someone who has just opened a new credit account. One of the basis of your credit score is the mix of credit. What are the types of accounts that you have in your credit file? It gives your potential lenders an idea on how you manage various types of credit accounts. But, it only accounts 10 percent of the credit score, so don’t get debts just for the sake of getting a higher score. Your ability to pay them is more important than having a variety of credit cards. If you’re not really interested in a certain credit account don’t make an inquiry unless the company promises that it will not appear on your credit report. Making a lot of inquiries within a short period of time may give the lenders an impression that you are too desperate to get another loan. 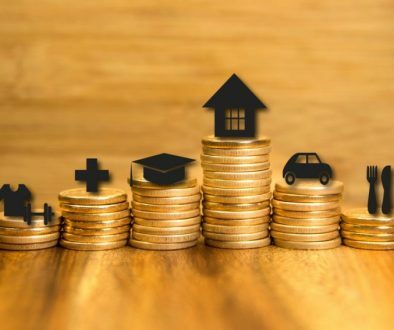 It could also serve as a warning to potential lenders that are financially struggling and may not be able to keep up with monthly repayments. When there are so many inquiries that you did not make or late payments that you know you have already paid for, it’s time to dispute your report. It’s either you have been a victim of identity fraud or the credit account providers and utility companies submitted wrong or inaccurate information. If you’re planning to save money on your credit cards and loans, chances are you’ve been struggling with the drawbacks of having a bad credit score. Banks and card issuers, are not always willing to extend you credit at all. If you get approved lenders are likely to charge a high interest rate and more expensive credit terms. You might also pay security deposits on utilities, and suffer from the strict scrutiny of landlords who turndown renters with damaged credit report. And in Australia, a good credit rating can be used in negotiating better deals in car insurance rates, mortgage and other loans. If you want to move from bad credit to good — Clean Credit can help you. Clean Credit can help you clean up your credit report by fixing errors and derogatory marks that have a negative impact on your credit score. By disputing mistakes and other inaccurate negative listings, especially from collecting companies, you can get them removed and witness a big jump in your credit rating. Contact Clean Credit to enjoy the benefits of having a good credit rating. Is It Wise To Fix Your Own Credit File? Can Small Payments Affect Your Credit Score?